“Hero” is probably the last word thirteen-year-old Virgil Smith would use to describe himself. But that’s exactly what others are calling him after his heroic actions during Hurricane Harvey in 2017. And that’s also what the Congressional Medal of Honor Society thought when they awarded Virgil one of five Citizen Hero awards earlier this year. Virgil Smith’s mother describes him as athletic. Others might call him shy. Like a lot of kids his age, Smith loves sports, hanging out with friends, and playing video games. But not many thirteen-year-olds would have the presence of mind to do what he did — and save seventeen people and a dog. The rain didn’t look like anything out of the ordinary. Not at first, at least. Indeed, two feet of rain would fall during the first twenty-four hours of Hurricane Harvey. Harvey would become the wettest tropical cyclone on record for both Texas and the United States. And it was devastating. Image Public Domain, by NASA, via Wikimedia Commons. Virgil’s mother, Lisa Wallace, opened the front door of the family’s ground floor apartment. A wall of water rushed in. Panicked, Virgil, along with his mother and sister, rushed to get out of the water, which had risen nearly to their heads. Virgil and his sister swam to the stairs. When Virgil reached the top of the staircase, however, his cell phone rang. It was his friend Keshaun. Keshaun and his family were stranded by floodwaters in their apartment across the courtyard. That was when Virgil remembered the air mattress his mother kept for guests. Virgil grabbed the mattress, inflated it, and swam with it, across the courtyard, to the back door of Keshaun’s apartment. It was dark by this time, and the water was still rising. No doubt Virgil was thinking about the snakes and alligators that might have been under the water. But he never turned back. When he got to the back window of Keshaun’s apartment, he began to lift Keshaun’s family members out of the window and onto the mattress. First, Keshaun. Then his two sisters, followed by his brother and his baby brother. Then Keshaun’s mother and stepfather. Two men, who had helped Virgil’s mother to the second floor now helped Virgil to steer the laden air mattress back to safety. The three went back, again and again, in the cold, dark flood waters, rescuing neighbor after neighbor. After a while, Virgil was tiring. He was covered in fire ants and exhausted. Then he saw a flash of light aross the street. A scream followed. Virgil plunged back into the water with his mattress, swimming toward the light. There, about 70 yards away, he found an elderly woman in a wheelchair, and her grandson. Their apartment was underwater, and the pair was trapped inside. On top of that, the grandson was having a seizure. First, Virgil broke a window to get to the pair. Then he calmed the boy enough to help both of them onto the air mattress. But that wasn’t all. The woman’s small dog was locked in a crate in the rising water. Virgil took the time to bring the dog as well, bringing the three out of the apartment and to safety. In the end, Virgil’s quick thinking and bravery saved seventeen people. But in Virgil’s mind, he was just doing the right thing. 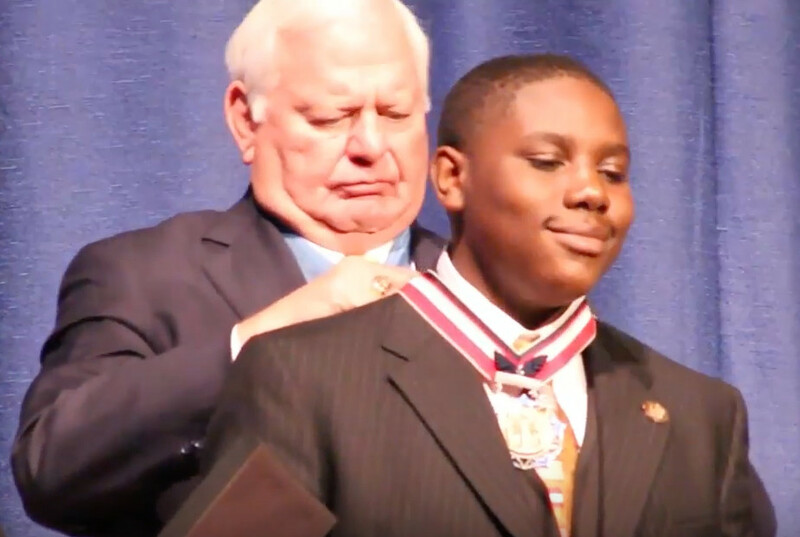 For his actions, the Congressional Medal of Honor Society awarded Virgil one of five Citizen Hero awards in March of 2018. Other recipients included Robert Engle, who subdued a gunman inside a church on September 23, 2017, and Mathhew Cobos, who provided lifesaving medical treatment to concertgoers injured in another mass shooting in Las Vegas. You can learn more about the medal and its recipients in the video below. 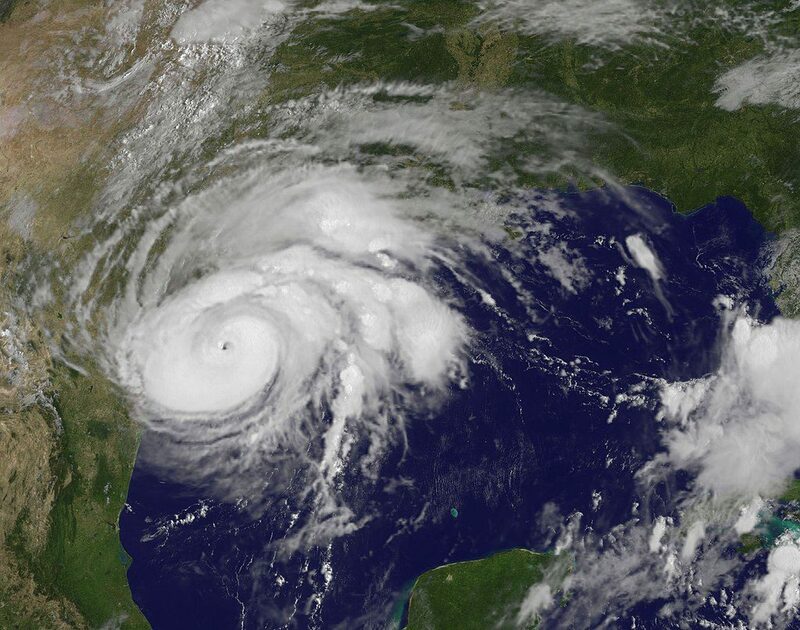 Hurricane Harvey was a category 4 storm that hit Texas near Houston on August 25, 2017. Harvey made landfall three times over the course of six days. It caused more than $125 billion dollars worth of damage. The storm forced 39,000 people out of their homes and into shelters. In addition, Harvey flooded 800 wastewater treatment facilities and 13 Superfund sites. As a result, the floodwaters spread sewage and toxic waste over vast areas of land. Miraculously, only 108 people died. What’s Next for the Young Hero? He leaped into rising flood waters in the dark to rescue his neighbors without a second thought. Nonetheless, Virgil admitted to being a bit nervous about flying to Washington, D.C. to receive his award. It was, after all, his first time on an airplane. But, as you can see from the video, he arrived just fine. Who knows what the future will hold for Virgil Smith? But there is no doubt that his future will be bright. And we wish him all the best.